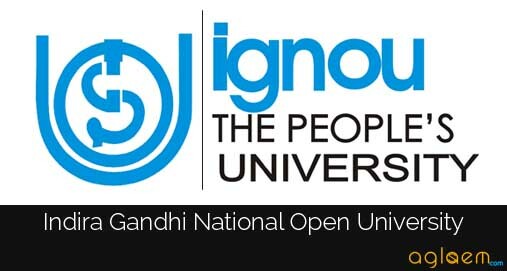 IGNOU UG & PG Admission Jan 2019 – Indira Gandhi National Open University, one of the Mega-University in the World, announces ADMISSIONS to its Distance Education Academic Programmes for the Academic Cycle commencing from January 2019. The application form of IGNOU UG & PG Admission for January 2019 session has been released. Candidates who are interested, to study through distance, IGNOU is the better place for them. IGNOU provides the various Under Graduate (UG), Post Graduate (PG), Diploma & Certificate course. Candidates can take the admission according to their eligibility & Interest in the course provided by the IGNOU. Latest: IGNOU admissions details for the academic session 2018-19 has been released. Scroll down to check the same. Candidates who are interested to apply for IGNOU Admission January 2019 must check their eligibility & all other details before going to apply. Schedule for the IGNOU Admission 2019 is given below. Click here to check the IGNOU admissions details for the academic session 2018-19 (January 2019). Click here to check the important announcement for Engineering Degree/Diploma students. Click here to check the Fee Reimbursement to SC/ST Students in January 2019 Admission Cycle. Click here to check the admission notice regarding various programmes. Candidates can check below the courses offered by IGNOU. To check the eligibility of the courses, candidates can refer the information brochure 2019 from the given link at the end of the page. Candidates can fill their Application form from here or from the official website. Application Form is submitted online. Scanned copy of Age Proof. Question. Can I apply online for all the programmes offered by IGNOU? Question. 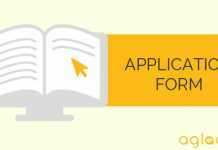 Is it compulsory to register myself before submitting an admission form online? Answer. Yes, it is compulsory to register with our Online Admission System (https://onlineadmission.ignou.ac.in/admissioin) before you can submit your admission form online. Question. What are the benefits of applying online as compared to submitting admission form offline at the regional center? Admission form submission is instant. Confirmation of successful submission is instant through email and SMS. Documents are uploaded online and there is no need to send the hard copy of the admission form and documents by post to the Regional Centre. The payment is accepted online instantly, so there is no need to get the Demand Draft prepared. In case of rejection of admission form due to ineligibility or any other reason, refund of fee is made electronically into the credit/debit card/net banking account from which payment was made. Question. Can I use one E-mail address to fill multiple admission forms? Answer. Yes, you can use one E-mail address to fill multiple admission forms. However, rules related to simultaneous registration to academic programmes apply. Question. If the power/internet connection fails during the application process, what should I do? Answer. Since the data is saved at the end of every stage with the ‘Save’ button, your data is automatically saved till the previous stage. If you are at a particular stage and the system is interrupted due to power failure or loss of connectivity, then your current stage data will not be saved. Please log in again using your ID and password and complete the form submission process from the stage where the system got interrupted. Question. How should I pay the programme fee? Answer. Programme fee for online Admission can be paid through credit/debit card/ net banking. Question. What kinds of Credit/Debit cards are accepted for payment of the programme fee? Is there Internet banking facility is also available? Answer. The Visa and Master Cards are accepted for making the payment of programme fee. Yes, the payment of fee can also be made through Net Banking. Question. Payment has been deducted from Credit Card/Debit Card/ my account but I have not received any confirmation. What should I do? Answer. If the payment has been deducted but you did not get acknowledgment for the same, please email the transaction details including your name, programme opted, mobile number, the amount paid etc. to the Online Admission Support Team at ‘[email protected]‘. Question. Can I apply for both PG and Certificate and UG and Certificate program through a single application form? Answer. No, for each programme you have to submit a separate Admission Form with requisite programme fee. You can register for a certificate programme along with a Degree, Diploma or another Certificate programme. However, two diploma or degree programmes cannot be taken simultaneously. Question. After Payment of the Admission fee, what information shall I receive through email/ SMS? Answer. You will get the confirmation of payment made by you through SMS as well as email. Question. Where do I have to contact after successful submission of form? Answer. Once the Admission Form is successfully submitted you will receive a confirmation to that effect. The University will provide you further information with regard to confirmation of your admission, allotment of study centre and other details for induction etc. in due course. Question. If there is any discrepancy in the admission form, from where and within which time shall I get the information about the same? Answer. In case of error in factual information submitted by you in the Admission form, you may contact the concerned Regional Centre for the same. Question. What is the time frame for getting confirmation of my admission? Answer. The admission form submitted by you needs to be scrutinized, verified and accepted by the Regional Centre concerned for confirmation of your admission. The Regional Centre shall communicate with you as soon as the process is completed. Question. Is it mandatory to upload/attach a photograph and scanned copy of the educational documents while submitting the form online? Answer. Yes. It is mandatory to upload the photograph of the desired size and scanned copies of the documents in support of your eligibility for admission to the desired programme. In the absence of relevant documents your admission form is liable to be rejected. Question. If a particular programme is not reflected under the regional centre under which I am applying, what should I do? Answer. If the name of a particular programme does not appear in the list of the programmes available at a particular Regional Centre it simply means that the programme is not available in that Regional Centre. In such a case you may opt for the nearest Regional Centre/Study Centre where the programme is available. Question. If I want to withdraw from the programme after confirmation of my admission, shall I get my fee refunded? Answer. Fee once paid will not be refunded under any circumstances. It is also not adjustable against any other programme of this University. However, in cases where University denies admission, the programme fee will be refunded after deduction of processing fee, if any, electronically to the credit/debit/net banking account from where payment was made. Question. As a student of IGNOU, shall I get access to library facility? Answer. The students who seek admission to a programme of the University through Online Admission System will get the same facilities as those who join the programme in off-line mode. In case you are staying in the city where your Regional Centre is located, you can make use of the library at the Regional Centre. In addition, you can also use the multimedia facility (recorded audio/ video lectures, etc.) at the Regional Centre. Your Study Centre is also equipped with library/multimedia facility. You may use the facility during the working hours of the Study Centre. Question. What is Credit System? Answer. The University follows the ‘Credit System’ for all the programmes. Each credit in our system is equivalent to 30 hours of study comprising all learning activities (i.e. reading and comprehending the print material, listening to audio, watching video, attending counseling sessions, teleconference and writing assignment responses). Thus, a 4-credit course involves about 120 hours of study. This helps the learner to know the academic effort he/she has to put in, to successfully complete a course. Completion of an academic programme (Degree/ Diploma/ Certificate) requires successful completion of the assignments, practicals, projects and the term-end examination of each course in a programme. Question. What is the system of evaluation followed by IGNOU? Answer. The system of evaluation in IGNOU is different from that of conventional universities. IGNOU has a multi-tier system of evaluation – self-assessment exercises within each unit of study, continuous evaluation mainly through assignments which are tutor-marked, practical assignments and seminar/workshops/extended contact programmes, term-end examination, project work, etc. The evaluation of learners depends upon various instructional activities undertaken by them. A learner has to write assignment responses compulsorily before taking term-end examination from time to time to complete an academic programme. A learner has to submit tutor marked assignments (TMA) responses to the Coordinator of the Study Centre concerned to which s/he is attached. Question. Can I join two Programmes of IGNOU at a time? Answer. Students who are already enrolled in a programme of one year or longer duration can also simultaneously register themselves for any Certificate programme of 6 months’ duration. However, if there is any clash of dates of counselling or examination schedule between the two programmes taken, the University will not be in a position to make adjustments. Simultaneously pursuing two academic Programmes of one year or longer duration either from the same University, or one from the Open University (under ODL mode) and the other from Conventional University (regular or face-to face mode) is not permitted, as of now, except add-on courses. Question. Is there any provision for scholarship or reimbursement of fee in IGNOU? Answer. Learners of IGNOU belonging to reserved Categories, viz. Scheduled Castes, Scheduled Tribes and Physically Handicapped are eligible for reimbursement of fee from the respective state governments. Further, scholarship scheme of National Centre for Promotion of Employment of Disabled People (NCPEDP) for Post Graduate level programmes is applicable to the students of this University also. Such students are advised to apply to the awarding authority directly. However, at the time of admission all applicants are required to pay the full fee. Question. I am a foreign national residing in India. 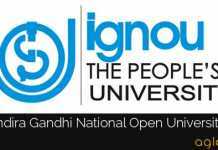 Can I take admission in IGNOU? Answer. Foreign nationals residing in India are eligible to seek admission in IGNOU programmes through offline mode, provided they have valid student visa for the minimum duration of the programme. So if you have a valid student visa for the minimum duration of the programme of your choice, you may apply for admission. Please note that you will be required to pay the fee applicable to foreign students. Further, admission in programmes having limited number of seats is not available to foreign nationals residing in India. Question. If I move to another city after joining a programme, can I continue my studies in the new place, or do I have to come back to my old place for completing the course? Answer. IGNOU has a national network of Regional Centres and Study Centres. So in case you change your place, you can continue your studies uninterrupted from your new place. You only have to request your Regional Centre to change your Regional Centre/Study Centre Code and update your new address. Question. Are the Degrees/Diplomas/Certificates awarded by IGNOU recognized? Answer. IGNOU Degrees/Diplomas/Certificates are recognized by all member universities of the Association of Indian Universities (AIU) and are at par with Degrees/Diplomas/ Certificates of all Indian Universities/ Institutions, as per UGC Circular letter No. F.1-52/2000(CPP-II) dated 5th May, 2004, AIU Circular No. EV/11(449/94/176915-177115 dated January 14, 1994, AICTE Circular No. AICTE/Academic/ MOU-DEC/ 2005 dated May 13, 2005 and UGC/DEB/2013 dated 14.10.2013. Question. If I join a programme of IGNOU but fail to appear in the examination at the first instance, will my registration be canceled? Answer. Flexibility in pace of learning is one of the important features of IGNOU’s programme delivery. Recognizing the fact that all our learners may not be able to study at the same pace due to various personal reasons, IGNOU has prescribed a ‘minimum’ and ‘maximum’ duration for successfully completing the programme. Thus, while you can complete your programme in the minimum prescribed period, your registration shall remain valid for the ‘maximum duration’ of the programme. This helps you pace your studies at your convenience. However, if you are aiming at the University Gold Medal, you must complete within the minimum prescribed period. For more detail regarding the IGNOU UG & PG Admission January 2019, Download Information Brochure.